JC: You weren’t a straight 4/4 drummer. There was a jazzy, bossa nova feel. Who were your early influences? 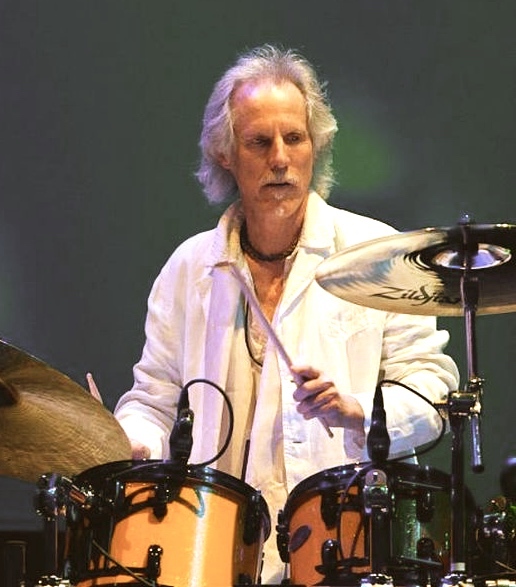 John Densmore: Elvin Jones was my idol…. And I saw all the great jazz drummers. Stewart Copeland…says, ‘Me, John [Densmore] and Mitch Mitchell, the Jimi Hendrix drummer, are jazz-rock drummers,’ and he’s right. He says John Bonham [Led Zeppelin] was more of a titanic rock drummer, a giant heavy sound with big emphasis on the bass drum. Me, Stewart and Mitch were more about the hands, and fills – not just doing a 2/4. Examples of those fills were in Light My Fire, The Music’s Over and The End. This entry was posted in Drum/Music News and tagged Drummer, Elvin Jones, John Densmore, Scott K Fish, Stewart Copeland, The Doors, The Police. Bookmark the permalink.